Star quality! These stylish awards feature a curved, star shape trophy with gold plated finish set on a solid mahogany base with engraving plaque. They are supplied complete with a lined presentation box. 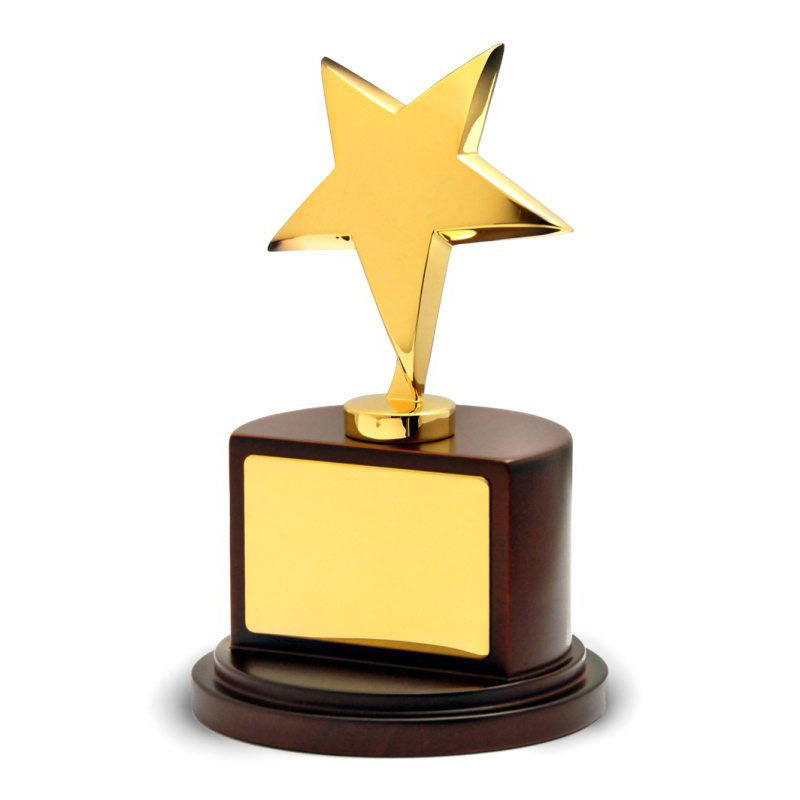 Standing 7in tall (including base), these gold star trophies are offered with text and logo engraving options, allowing you to create custom awards for a wide range of events and achievements, from sporting and educational awards to corporate or public honours.